About 9:30 this morning (Sunday) I had these visitors in my yard. 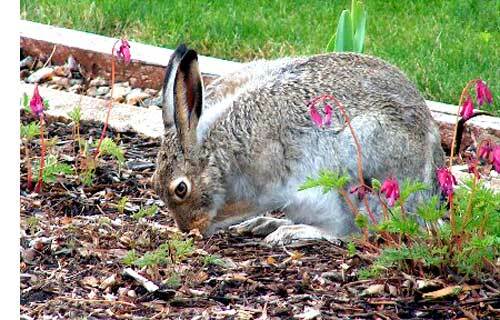 They were in the flower bed along my driveway. 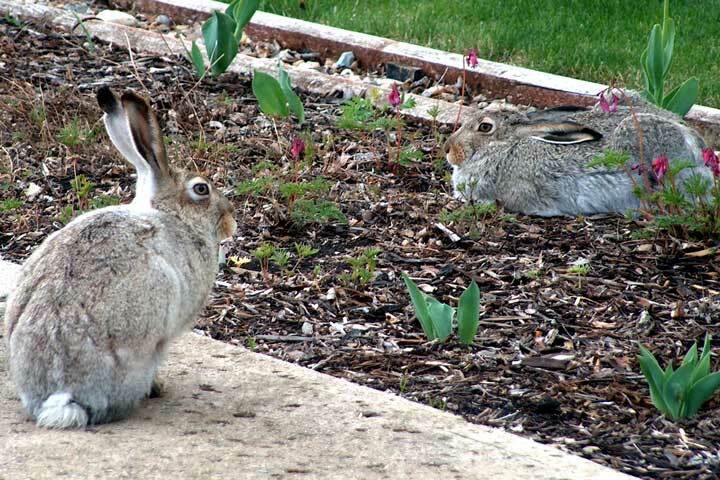 I was surprised at how close they would let me come..
Editor's note: These rabbits seen here and the one that has visited our yard appear much smaller than the big Jack Rabbits we sometimes see and I thought they were bush rabbits but I was wrong. 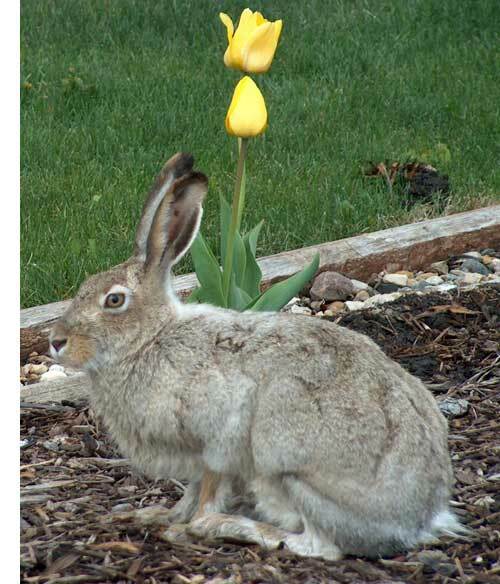 What you see in these pictures are Lepus townsendii, white-tailed Jack rabbits which of courses are not rabbits at all but "hares". 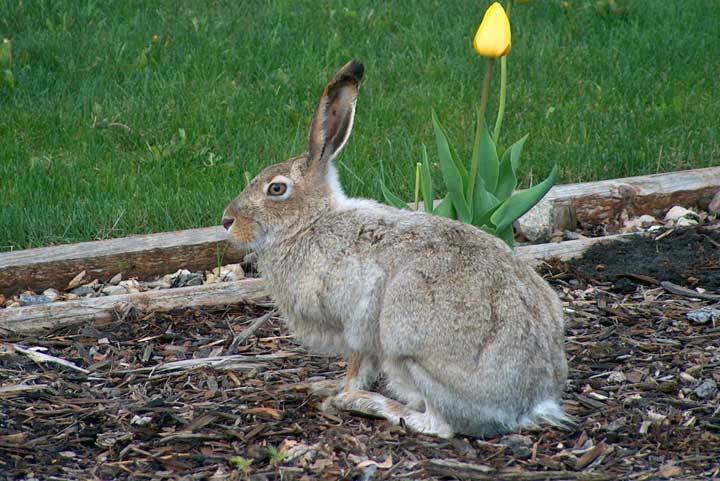 Rabbits are actually short bodied much rounder and much much smaller and the variety found in Saskatchewan are "snow-shoed rabbits" or Sylvilagus nuttalli. 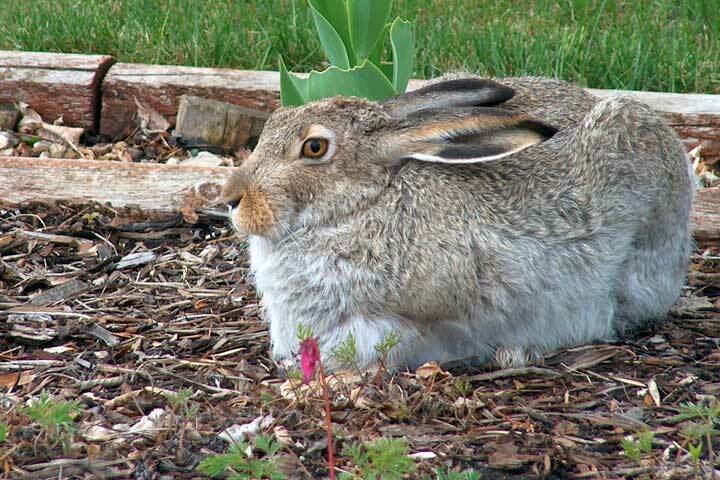 Most people in Saskatchewan refer to the smaller rabbit as a "bush rabbit" and at times they can be very numerous.